The Samurcasesti monastery was founded in 1808, being built by the boyar Constantin Samurcas, on his own land in the village of Ciorogarla, at a 15 km away from Bucharest. Soon after the building of the monastery, the founder died, without leaving any note about its maintenance and leadership. It is not until 1847 that the lord steward Alexandru Samurcas, nephew and adoptive son of the founder, secures the hearth and the terrain around it, also imposing several administration rules. Also in 1845 he makes the first reparation to the church of the monastery which had suffered from the earthquake in 1838. As the church and the cells had neither been durably made in 1808, nor thoroughly repaired in 1845, in 1862 almost the entire establishment was in total ruin. After many petitions made by the leadership of the monastery they finally succeed in 1866-1869, with several funds allocated by the Ministry of Religious Affairs in making general repairments to the church. 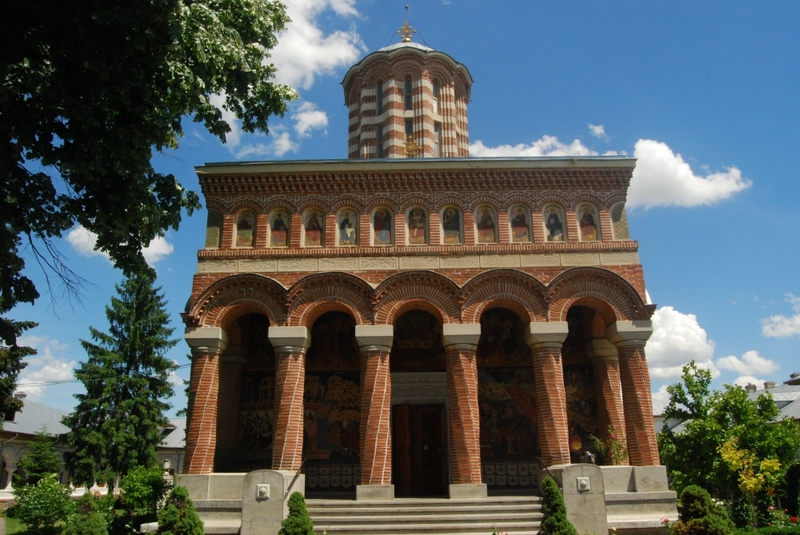 In 1870, with the donations from S. Vernescu and L. Teoharide of Bucharest, the church is painted by the artist Gh. Tattarescu, and on December 13 the same year it is consecrated. Between 1872-1874 several repairments are made by loan Samurcas, one of the descendants of the founder, who covers the cells with shingle, and the Ministry of Religious Affairs repairs the xenodochium and the roof of a body of cells. In 1876, in the cemetery of the monastery it is built, with the help of the Christians a small church with the patronal holiday of the Saint Emperors Constantin and Helen having the destination of a chapel. Restoration works are also made at the main monastery church in 1903 with the help of Christians, and in 1920 with the help of the Administration of the Church House. In 1910 with the blessing of Teodosia Buiurga, a group of houses with 20 rooms is built in the vicinity of the monastery church. In 1914, after a large fire, the entire group of founding houses is destroyed, among which there were 30 cells, the priory and a large part of the monastery archive. During the First World War, the monastery suffered because of German occupation troops, which took away, among others, the two bells of the monastery, which were later replaced with some new ones in 1919 and 1925. The monastery church - an interesting example of religious architecture at the beginning of the last century, with 3 altars, with the alternave and the body separated in three compartments through two rows each made of four brick columns - was severely affected by the earthquake in November 10 1940. It was demolished and rebuilt between 1941-1943, on the old foundation, according to the sketces of architect Ion Cernescu, on the expense of Prefecture of the Ilfov Country and with the work of general Teodor Ciurea prefect of the Ilfov county between 1940-1942. The architect I. Cernescu gave up dividing the church body in three compartments and treated the outside as a harmonical merge between apparent brick and rock. From the old church there remained the jube, made in the brancovenian style, adorned with vegetal and floral motifs and decorated at the superior side with two rows of painted icons, and in the inferior side with a row of silver icons. From the painting of Gh. 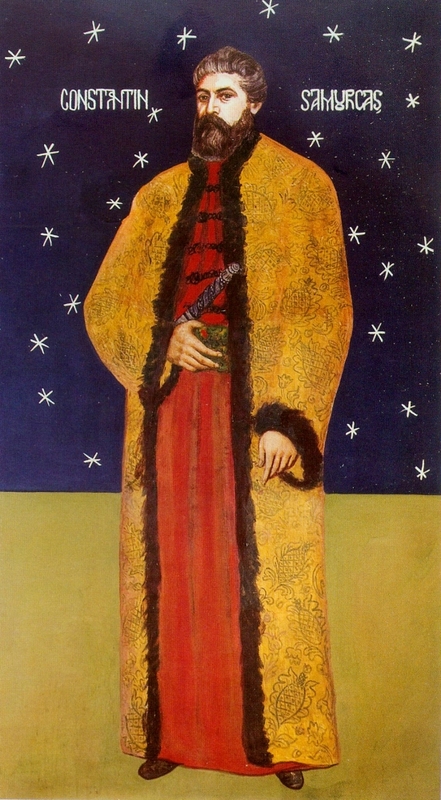 Tattarescu only two icons were kept, which can be seen in the collection of religious objects of the monastery. After building the new church, according to the wish of general Teodor Ciurea, one of the three patron of the church was changed. The central altar of the church remained dedicated to the Holy Trinity, as well as that from the right, dedicated to the Dormition and the altar from the left, which until then was consecrated to the Birth of the Virgin Mary, was consecrated to the Saint Parascheva. In the summer of 1944 when the Mitropoly of Iasi had to be located with its archives and pearls to Bucharest, for a few months, the tabernacles with Saint Parascheva were brought and kept in the church of Monastery Samurcasesti, anointing thus the foundation of General Teodor Ciurea who, widj so much love, had dedicated the Altar. 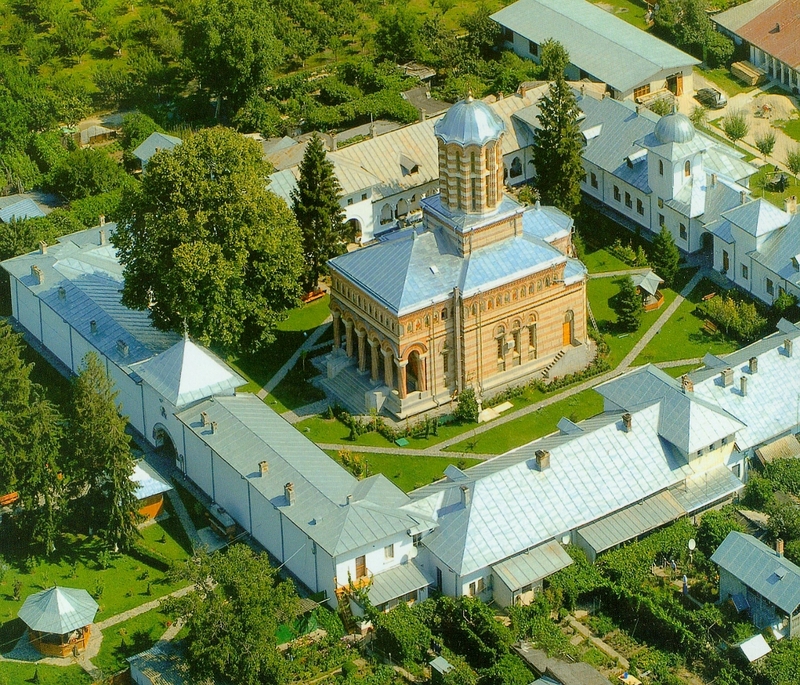 At the same time with building the new church, the Prefecture of Ilfov country also built within the monastery three house bodies which can still be seen today upon entering the monastery, on the left side, with the destination: the Priest House, the Priory and the museum Collection. Between 1951-1953, under the care of Patriarch Justinian Marina, the church of the monastery was decorated with paintings in ceramic and fresco, made in neobyzantine style by the artist Gh. 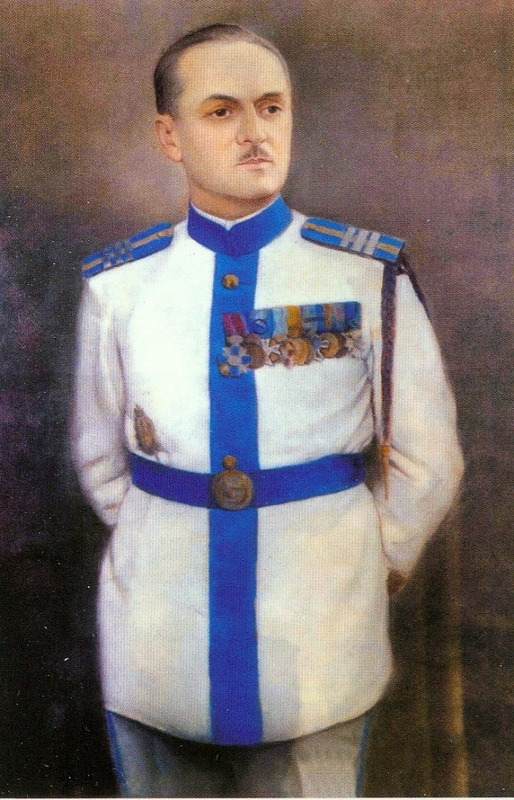 Popescu. On November 8 1953 the church was sanctified by Patriarch Justinian Marina himself with the usual ceremony on such occasions. From the autumn of 1953 and until the summer of 1958, with the funds put at their disposal by the Holy Archidiocese of Bucharest the entire monastic establishment was restored: the cells around the church were rebuilt in the shape of a fortress, the steeples were remade, the workshops as well as the surrounding wall of the monastery were also rebuilt. The inauguration of the works was made on June 1st 1958 with a beautiful hierarchical ceremony held by Patriarch Justinian Marina, who was then celebrating 10 years of patriarchal tenure. Between 1976-1986, with the funds allocated by the Archbishopric of Bucharest and with donations from Christians, general repairments were made and the small church from the cemetery was painted, a segment of the surrounding wall destroyed during the earthquake of 1977 and during the floods from 1979 was rebuilt, the mural painting of the large church was reconditioned by painter Taflan, the electrical installation of the monastery was reconstructed and several underpinning works were made to the entrance wall inside the monastery. As early as 2000, the monastery establishment passes through an extensive process of rehabilitation, consolidation and adorning. In 2002 a new building for the carpentry workshop was built, the natural gas network was introduced in the monastery, the stairs were reconditioned, the socle and the pavement of the large church were rehabilitated. Major works were made at the two monastery churches between 2005-2007. At the small church consolidation works were made, the ceiling and the roof were rebuilt, the artist Iulian Lembrau executed the fresco painting and the old deteriorated jube was replaced with a new one, made by sculptor Costica Moroiu from Bucharest. At the large church the mural painting was reconditioned by the artist Gabriela Stefanita, the jube was reconditioned, and the wood and the icons were restored by painter Elena Constantin, the windows were changed, the floor was replaced and the church was covered again. Also, the tile was replaced and most of the cells were covered again. All these works were made with the help of several families of good Christians from Bucharest, who are the new founders of the monastery descendants of the three main founders who are still memorized, Boyar Constantin Samurcas, general Teodor Ciurea and patriarch Justinian Marina, whose souls, we think, rejoice that the holy establishment all three of them cared for has not been lost and endured in time. On October 14, 2008, feast day dedicated to St. Parascheva, when the monastery celebrated the patron Saint and the fulfillment of 200 years of sanctity, His Beatitude Daniel, accompanied by His Eminence Mihail, bishop of the Romanian Orthodox Diocese of Australia and New Zeeland and His Grace Varsanufie Prahoveanul, Auxiliary Bishop of the Archdiocese of Bucharest, sanctified the Church again after officiating an uplifting Holy Divine Liturgy. On this occasion, His Beatitude Daniel, in a sign of appreciation to renewing that had been made here in the last years and full remembrance of the period in which St. Parascheva's relics were encamped in the monastery at a time of great challenge for The Church and The Country (April 10 to October 27, 1944), gave the monastery a garment that covered the relics of St. Parascheva in Iasi. The Samurcasesti Monastery had an important social-cultural role during the years. Here there functioned between 1864-1876, at the order of the Ministry of Religious Affairs, a primary school, both for the children from the village and for the orphan little girls who were raised in the monastery, having as teacher Sofia Heliade Radulescu who was also the abbess of the monastery during 1894-1909. Also, the monastery establishment presents a historical importance by the fact that its past is related to an event in the history of the Wallachia, namely the Revolution of 1821. 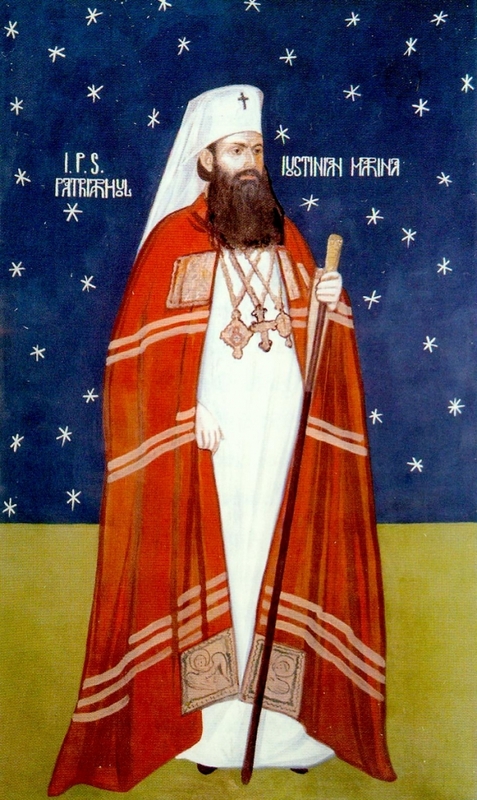 On March 17 1821, on his way to Bucharest, Tudor Vladimirescu alighted with his soldiers (pandurs) in the monastery Samurcasesti, were he discussed with his synod father, bishop Ilarion of Rages and made, according to the sayings of historian Mihai Cioranu that "Proclamation" addressed to the inhabitants of Bucharest. Tudor Vladimirescu's halt in this monastery is marked both by documents and by a wooden cross, dressed in golden silver, made by Stan Jianu of Craiova in 1761, given to the monastery by Tudor, which is still being kept in the collection of religious objects of the monastery. Within the monastery, there have been various workshops in which the nuns worked to ensure both their existence and the maintenance of the holy establishment. From 1923 until 1955 floss, silk, thin woolen tissues and Romanian traditional looms were in the monastery. In 1955 carpet workshops and workshops of home products continued to function. In I960, through the decree 410, the authorities of the atheist state, trying to abolish all the monasteries from the country, chucked out all the nuns and liquidated all the workshops. The communist regime did not manage to liquidate the monastery Samurcasesti, because in front of it stood, by will of God, the providential Patriarch Justinian Marina who, in 1961 creates within the monastery an icon enframing workshop equipped with carpentry tools brought from Germany and employs all the nuns who, according to the decree, had to leave the monastery. The carpentry workshop founded in 1961 is still in function today besides the three workshops recently created: of incense, painting and knitting. The large monastery church host several spiritual values of the Romanian Orthodoxy, out of which the most important is the silver coffin in which holy relics of several saints are kept: Saint Apostle Andrei, Saint Archdeacon Stefan, Saint Archbishop John Chrysostom, Saint Bishop Silvestru, Saint Bishop Modest, Saint Martyr Teodor Tiron, Saint Martyr Teodor Stratilat, Saint Martyr Ermin, Saint Martyr Dimitrie the Myrrh Bearer and Saint Anonyme. Also, within the monastery establishment a museum is arranged where are exposed several patrimony valuable objects: icons, arks, holy vases, crosses, canonicals, old books and others. With all the attempts and difficulties, the monastery Samurcasesti faced during the two centuries of existence, here, without interruption, with the care of God, around 45-60 nuns continued to live, harmoniously blending the two coordinates of the monastic life - prayers and work.